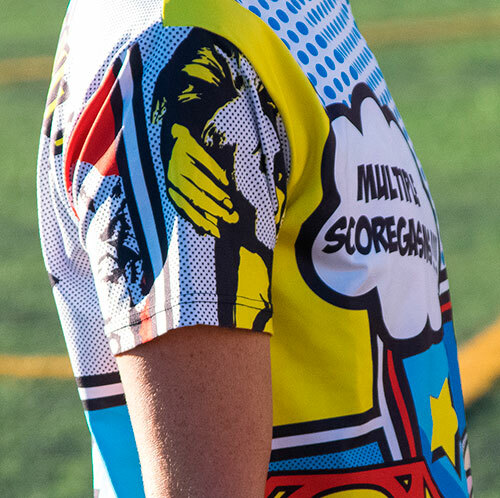 Sublimation is an innovative and effective technique for customizing team uniforms as it opens up a world of possibilities. Instead of being limited to printing in a designated space, your design can utilize every inch of fabric. Whatever colors, effects and fonts you want to place in your design can be done. The range of options is endless! 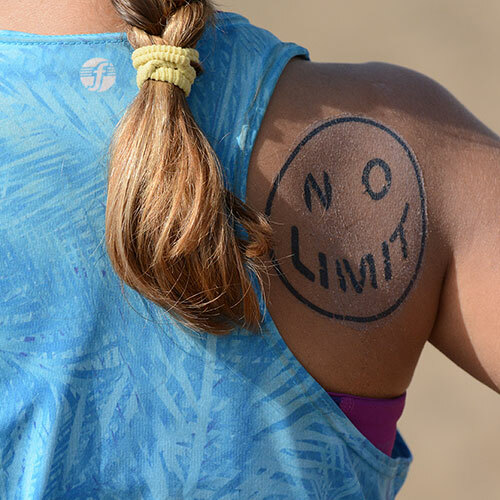 For this reason, Flip wear uses 100% sublimation for all of its products, from our classic jerseys and tank tops to our long pants and shorts. Sublimation is a technique that uses heat to transfer ink directly into the fabric via special transfer paper. Using eco-friendly sublimation dyes, your design is first digitally printed onto specialized paper and then heat pressed onto a polyester based fabric. This method permanently fuses the design into the fibres of the fabric instead of simply placing it on top. As a result, your design is incorporated into the fabric itself and its color and brilliance will last and withstand continued use and washing for the life of the garment.